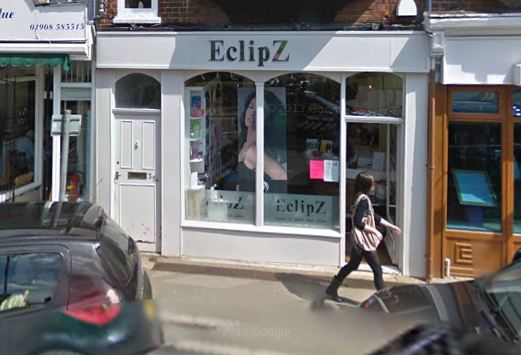 First time I’ve been to Eclipz and will definitely go again ???? My two little girls are so happy with their hair cuts. You did so well to help them feel at ease and the cuts look great. Thank you! Very professional, friendly staff who transformed my hair beautifully. I will definitely go back! This is the 2nd time Chelsea has done my hair and have been pleased with result. Exactly what I wanted, cut by Diane. Really pleasant experience, my two girls had lovely hair cuts and enjoyed the experience. Katie cut their hair beautifully and made them feel at ease. Just brilliant service. We've been regulars since we moved here and will never go anywhere else. Emma has built a superb salon. Highly recommend Eclipz. Emma cuts my hair beautifully. Very friendly and professional service. Can haircut as always this time with an excellent array of blue, purple and turquoise highlights. Looks so good! Had manicure for first time ever.....they look so good now. Emma and Katy are lovely, great sense of humour. As usual a lovely experience at Eclipse. Highlights and cut and blow dry. Love the colour. Great experience and a fantastic haircut which is so hard to find. Highly recommended. Emma & her team are amazing & really looked after me as it was my 1st time having extensions. The extensions are a perfect colour match & unless you knew me previously you would think they were my actual hair.